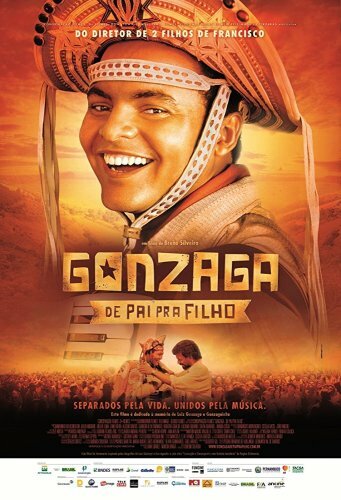 Gonzaga: De Pai pra Filho (Gonzaga: From Father to Son) is a film from Brazil, directed by Breno Silveira. This drama movie tells the complicated tale of two of Brazil's most popular pop-music icons – Luiz Gonzaga, the King of the Baião, and his son, Gonzaguinha. Determined to change his destiny, the young singer Luiz Gonzaga leaves home and goes to Rio in search of new horizons. There he meets the beautiful Odessa, with whom he falls in love. After their son's birth and having to deal with his wife's health problems, Gonzaga decides to go back to the road to secure a better future for their heir. To do this, he leaves the child under the care of friends and starts touring all over Brazil. He could not wonder this distance between them would prompt a stormy relationship, enhanced by both their strong personalities. The film details the human drama between father and son and the wreckage that their careers make of their family lives.